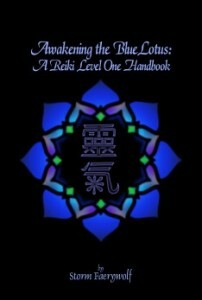 This is the complete Reiki Level One material given in Storm Faerywolf’s introductory Reiki I class. Reiki is a traditional initiatory energy practice that encourages healing, mental & emotional balance, and spiritual development. In this volume Storm Faerywolf presents the history, principles, and practices providing an introduction to those who wish to learn more about this popular discipline.